Today’s In My Mailbox post- a meme started in November of 2008 by The Story Siren inspired by Alea of Pop Culture Junkie are the books I’ve received in the past two weeks. 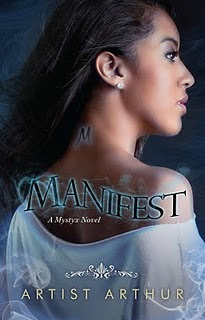 Click on the book title to see a description or add it to your own Goodreads TBR pile. What’s in your pile of fun books to read this week? 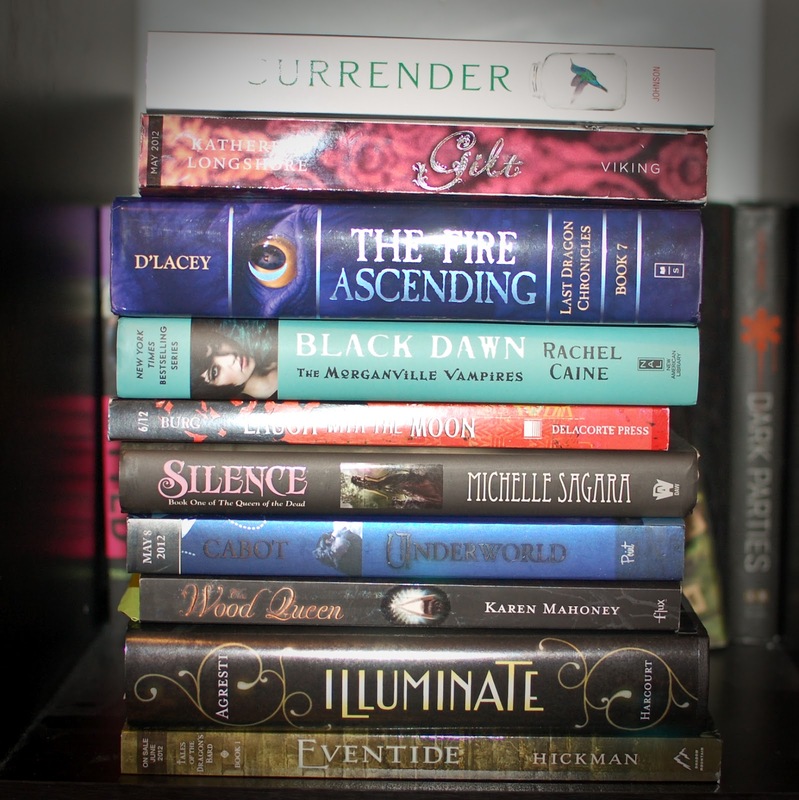 What books did you buy, borrow or receive in the mail this week? 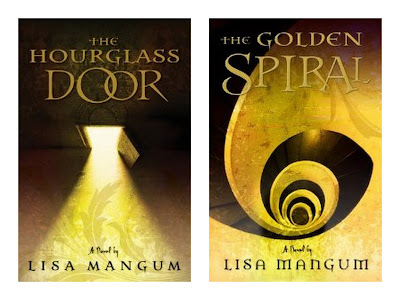 To enter to win a prize pack of two books… The Hourglass Door (we gave it 5 stars) and Golden Spiral by Lisa Mangum leave your name and email address below. Contest Ends June 28, 2010 and is open to U.S. and Canada only. As always let me know if you want to borrow any books. Our current ARC tours are “The Cinderella Society by Kay Cassidy, Brightly Woven by Alex Bracken, The Mark by Marilyn Bunderson, and The Golden Spiral by Lisa Mangum. 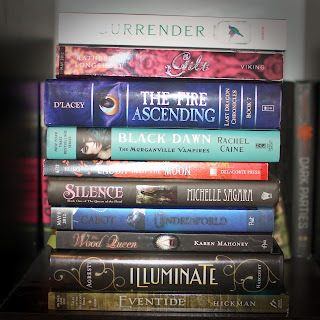 Email us if interested in reading and reviewing these!